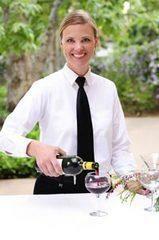 Our Bartenders are TIPS certified and are trained to give exceptional service to your guests. We suggest having one bartender per 50 adults. Bartenders are prepared to serve just beer and wine, as well as a full bar including specialty cocktails. Please specify what you plan to serve and other important event details. Please call the office to discuss your event details with our staff.